...         'interval_step': 2,  # then increase by 2s for every retry. ...         'interval_max': 30,  # but don't exceed 30s between retries. ...         'max_retries': 30,   # give up after 30 tries. The declare argument lets you pass a list of entities that must be declared before sending the message. This is especially important when using the retry flag, since the broker may actually restart during a retry in which case non-durable entities are removed. ...     declare=[task_queue],  # declares exchange, queue and binds. See Serialization for more information. 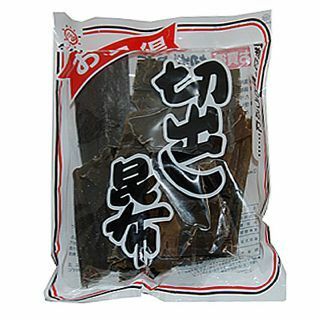 channel (kombu.Connection, ChannelT) – Connection or channel. exchange (kombu.entity.Exchange, str) – Optional default exchange. routing_key (str) – Optional default routing key. serializer (str) – Default serializer. Default is “json” . compression (str) – Default compression method. Default is no compression. auto_declare (bool) – Automatically declare the default exchange at instantiation. Default is True. on_return (Callable) – Callback to call for undeliverable messages, when the mandatory or immediate arguments to publish() is used. This callback needs the following signature: (exception, exchange, routing_key, message) . Note that the producer needs to drain events to use this feature. By default, if a defualt exchange is set, that exchange will be declare when publishing a message. Default compression method. Disabled by default. This happens automatically at instantiation when the auto_declare flag is enabled. Declare exchange if not already declared during this session. Publish message to the specified exchange. body (Any) – Message body. routing_key (str) – Message routing key. delivery_mode (enum) – See delivery_mode. mandatory (bool) – Currently not supported. immediate (bool) – Currently not supported. priority (int) – Message priority. A number between 0 and 9.
content_type (str) – Content type. Default is auto-detect. content_encoding (str) – Content encoding. Default is auto-detect. serializer (str) – Serializer to use. Default is auto-detect. compression (str) – Compression method to use. Default is none. headers (Dict) – Mapping of arbitrary headers to pass along with the message body. exchange (kombu.entity.Exchange, str) – Override the exchange. Note that this exchange must have been declared. declare (Sequence[EntityT]) – Optional list of required entities that must have been declared before publishing the message. The entities will be declared using maybe_declare(). retry (bool) – Retry publishing, or declaring entities if the connection is lost. retry_policy (Dict) – Retry configuration, this is the keywords supported by ensure(). expiration (float) – A TTL in seconds can be specified per message. Default is no expiration. **properties (Any) – Additional message properties, see AMQP spec. Revive the producer after connection loss. Default serializer to use. Default is JSON.